﻿ Kingdom Hearts Recharged » Kingdom Hearts 3 Box Art Revealed! 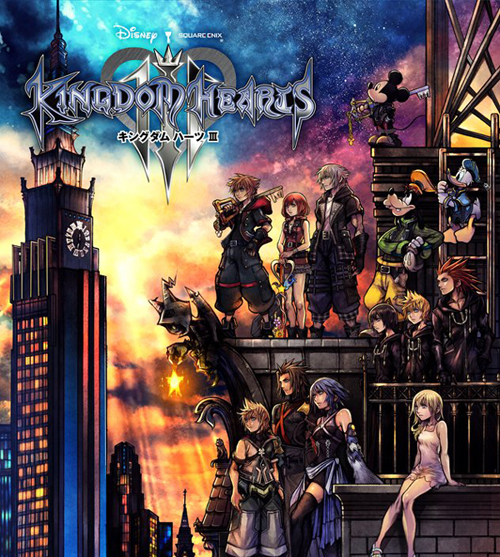 Following the release of the new Kingdom Hearts 3 trailer, Square-Enix revealed the official box art from Kingdom Hearts 3, which was drawn by Tetsuya Nomura. The box art reveal was posted via Twitter early this morning. What do you think of the new box art? It features thirteen of our beloved characters, and yes there’s Xion, Roxas, Namine, and the Birth by Sleep trio!